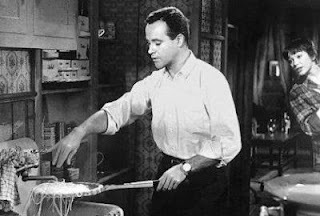 ...from a suicide attempt to Jack Lemmon straining spaghetti with tennis rackets... what is this movie? The box says romantic comedy. There is certainly a lot of comedy. But is it really a romantic comedy? I do not know. I do know I enjoyed it, though. Three stars, and I would see it again. good point. it does have some romance, but it's not the entire focus of the film. I enjoyed it and the points included are a good.